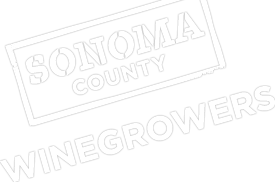 8-26-2015_818_DougMcIllroy_WinegrapesDrought.mp3 Sonoma County Winegrowers Commissioner Doug McIlroy appeared on KSRO Radio to discuss our recent news about growers voluntarily committing to conserve water by 25% in four water sheds. KKruse0721.mp3 Yesterday, Karissa appeared on KSRO’s The Drive with Steve Jaxon to discuss her Letter to the Editor that appeared in The Press Democrat. (Click here to see it on their news site) During the segment she discussed the misinformation that was circulating in our community about grape growing and our sustainability commitment.